We stopped at a small rest area called Askainen Park which was a memorial. This park is dedicated to the Knights of the Mannerheim Cross and all the Finnish veterans of war. 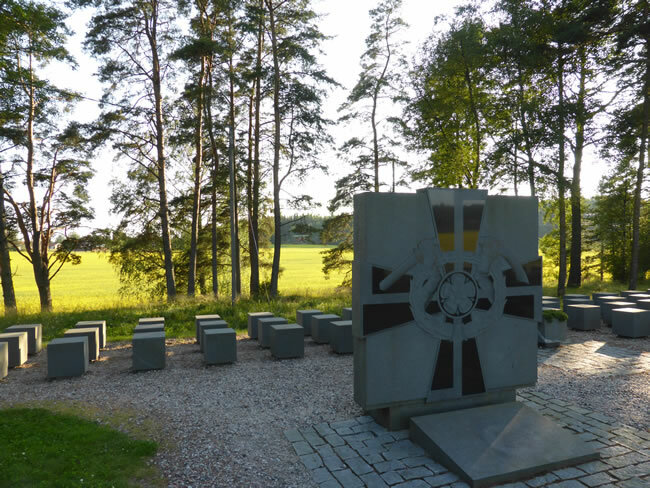 There is a named cube memorial stone for each Knight that received the Mannerheim Cross following the Continuation War against the Soviets in 1941.